IF YOU HAVE ENCOUNTERED ANY OF THE FOLLOWING, WORK WITH THE BEST! Owed Wages or Overtime Compensation by Your Employer? Misclassified as a manager or as an independent contractor? Wrongfully Terminated, Harassed or Discriminated against at work? Put our experience behind your case. For over a decade, we dedicated our efforts to helping employees, injured workers, and accident victims throughout Southern California. We recovered hundreds of millions for our clients. To successfully handle employment, workers’ compensation, and accident cases can be challenging, requiring a thorough investigation of the evidence and a strong command of the case’s facts. With years of experience under our belt in handling these types of cases until trial, our lawyers have developed valuable experience investigating and pursuing employment, work injury, and accident claims. RAWA LAW GROUP WAS FOUNDED TO HELP THOSE IN NEED. When you choose to work with Rawa Law Group, workers compensation lawyer, you’ll have a professional team of employment, work injury, and accident attorneys in Inland Empire on your side who’ve successfully recovered hundreds of millions for clients over the last decade. This is a testimony to our ability to help in some of the most complex cases. No law firm can guarantee results, but we can guarantee that we aggressively pursue our client’s cases and we never back down from any fight in the best interests of our clients. We fight the fight and we like to win, but most importantly to bring justice to our clients. This helps us pursue the maximum amount of compensation available to you. What is more important than the financial recovery is the satisfaction of knowing you stood up for yourself and demanded justice. WHY CHOOSE RAWA LAW GROUP? Our work injury attorney in Chino fought hard to recover millions in settlements & verdicts. Unless we’re successfully able to recover for you, you don’t pay a dime. When choosing he best law firm, results matter. Do not settle for second best. If you’ve been seriously injured, you need a work injury lawyer in Chino Hills, CA — someone who is not afraid to fight for your legal rights. You need the best Los Angeles Workers Compensation Lawyer, and Personal Injury attorney in your corner. At Rawa Law Group, we know that most cases are won in the courtroom, which is why we prepare every claim as if it will be taken to trial. In doing so, we give you an edge at the negotiating table that has proven to be effective time and time again. If you have been seriously injured, we encourage you to call us today for your free, confidential consultation. At Rawa Law Group, we are known for being skilled trial attorneys who achieve results. While we are honored by the settlements and awards we have received, what we truly care about is what we have accomplished on behalf of our clients. We are proud to say that we have recovered more hundredths of millions in settlements and verdicts in our years of experience, and we have been involved in cases with very real and very applicable results—such as serious catastrophic injuries and wage violation class actions. 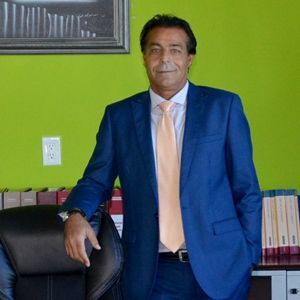 The founder of Rawa Law Group, Mr. Rawashdeh, is a member of the California Employment Lawyers Association (CELA), and California Applicant Attorneys Association (CAAA).In addition, he is admitted to practice before all California State and Federal Courts, he also has an MBA degree and is a Certified Public Accountant. At Rawa Law Group, we have represented thousands of individuals who have been severely injured—either on the job, in a catastrophic accident, or due to the use of a dangerous product or device. As a result, our workplace injury attorney in Chino, CA recognize what is important to our clients, what questions they typically have, and how to best protect their interest before, during, and after their lawsuit. At Rawa Law Group, we demand justice for our clients. IMPORTANT NOTICE TO DEFENSE ATTORNEYS & CLAIM ADJUSTERS.